The Tory and Liberal Democrat-led governments we have lived under since 2010 have been a complete disaster for housing. They slashed the capital budget for social housing by two thirds, made the term affordable housing meaningless by including homes with rents up to 80% of market value, introduced the planning viability assessment that has allowed developers to wriggle out of their responsibilities to help fund social housing as part of new developments, and have failed to ensure that enough new homes are built to cater for our housing needs. It is testament to the Tories’ utter complacency on the housing crisis that they have appointed no fewer than eight housing ministers in as many years, some of whom have spent their tenure barely managing to disguise their lack of interest in the field. Private renting has now been put out of reach for many people on lower incomes thanks to the punitive lowering of the cap on the Local Housing Allowance (LHA), which increased homelessness and insecurity for many households while Universal Credit leaves thousands reliant on foodbanks. The National Audit Office confirmed earlier this year that there is a direct causal link between the government’s own policies and rising homelessness. The Tory announcement that the LHA cap would be extended to providers of supported housing in April 2017 created a crisis in the sector two years ago. Supported housing is a broad sector that includes sheltered housing for older people, housing for people with learning or physical disabilities, mental ill health, domestic abuse refuges, housing for ex-offenders and short-term accommodation for people facing homelessness. The LHA cap is calculated in relation to local private market rents. But private sector rents bear almost no relationship to the cost of providing supported housing, which includes additional costs such as specialist buildings and equipment, communal areas and staff. The announcement was a disaster. Many providers immediately warned that the cap would mean they could no longer afford to supply supported housing, still less to build new supported housing to meet growing demand. The government reacted to these concerns by delaying the implementation of the LHA cap for supported housing by a year to April 2018. In the autumn of 2017, I proposed and then co-chaired a joint inquiry of the communities and local government and work and pensions select committees on the future of funding for supported housing. The inquiry found that the supported housing sector delivers savings to the wider public sector of £3.5bn a year. It enables a wide range of people to live independently and with dignity, and by doing so sustains better physical and mental health and reduces the need for more intensive support. We concluded that the government’s proposals were unworkable. In responding to the inquiry, the Tories made another disastrous announcement: all ‘short-term’ supported housing, which it defined arbitrarily as housing provided for up to two years, would no longer be funded by the welfare system. Instead, there would be a grant provided to local authorities – with no guaranteed ringfence and no mechanism for increasing the grant to meet growing need. As a result, housing providers tore up plans for new supported housing schemes, some exited the field altogether and there has been next to no new provision. After two years of waiting, the government has finally made a full U-turn. All supported housing will now continue to be funded by housing benefit – a funding stream it had previously planned to phase out altogether. It is astonishing that in the face of overwhelming evidence of both the huge value of supported housing and the disastrous consequences of the LHA cap, the Tories took so long to reverse a problem that was entirely of its own making. While the government’s U-turn on funding for supported housing is welcome, the two year delay in announcing it is unforgivable. Labour recognises that funding supported housing properly is an investment, not a cost – an investment that pays for itself many times over in the dignity, independence and quality of life residents enjoy, and in the better physical and mental health and equalities outcomes that reduce the costs of crisis care to the NHS and social services. The UK desperately needs a Labour government that will put the housing crisis front and centre of an ambitious programme to transform our country. Only Labour can and will deliver on housing. 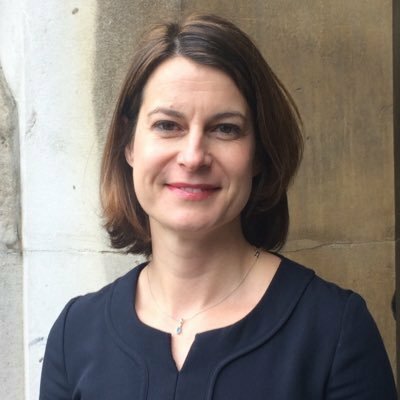 Helen Hayes is MP for Dulwich and West Norwood and a member of the housing, communities and local government select committee.